Sriz Beauty Blog: Review of SnackExperts.com!!! Today I am reviewing one more subscription service, but this time, it is not related to beauty but it is about Health. Yes!!! You heard it right! 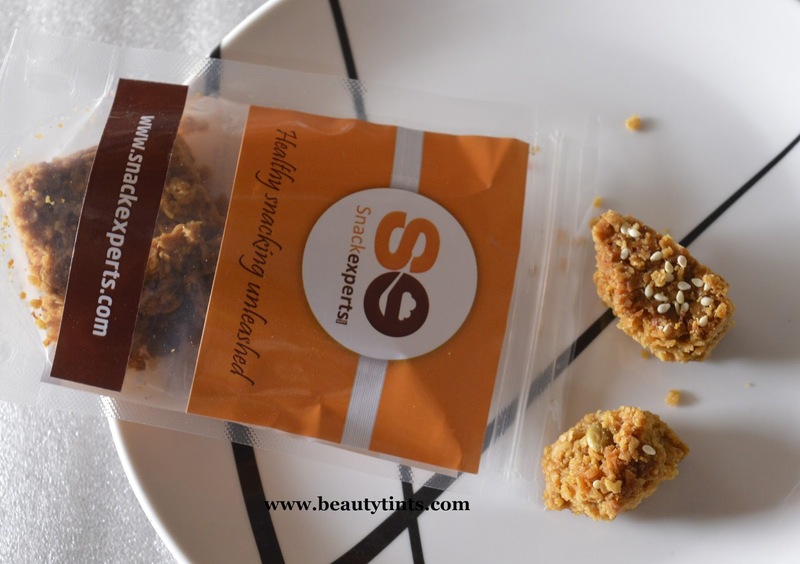 I am talking about SnackExperts.com, which is a monthly subscription service which delivers a curated Snack box, packed with a fine selection of 5 varieties of healthy snacks,every month to your door step!!! What The Brand Says : At Snack experts, we promote snacks that are safer, healthier, and better for people &our planet. From increased rates of cancer and diabetes to climate change, it has become clear that the eatables we put in us, on us, and around us - and the way those products are sourced, manufactured, and delivered - is causing us all real harm, instead of nourishing. On every order, we deliver a curated Snackbox to your door, packed with a fine selection of 5 varieties of healthy snacks. We also offer individual boxes as perfect gifts for friends & family. Check out their website and facebook page to know more!!! 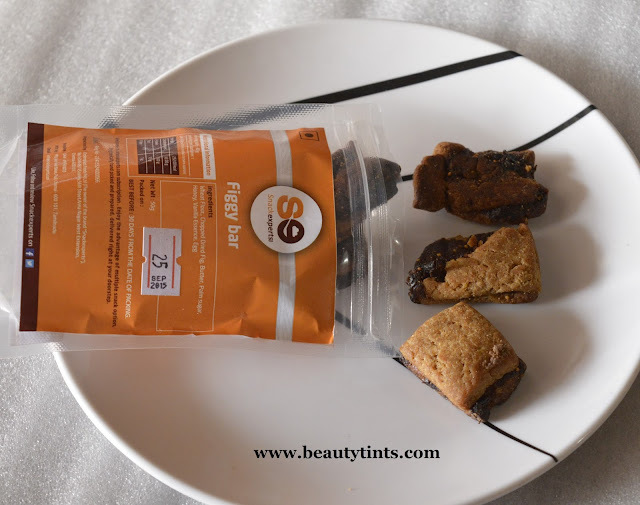 Subscription Plans : There are 3 types of subscription plans available like the Trial Box,Standard Box and Smart Snacker!!! 1) Trial Box : INR 150/- for 3 types of snacks of 50 gm pouch each.We can try it only once as it is limited to one per one customer account. 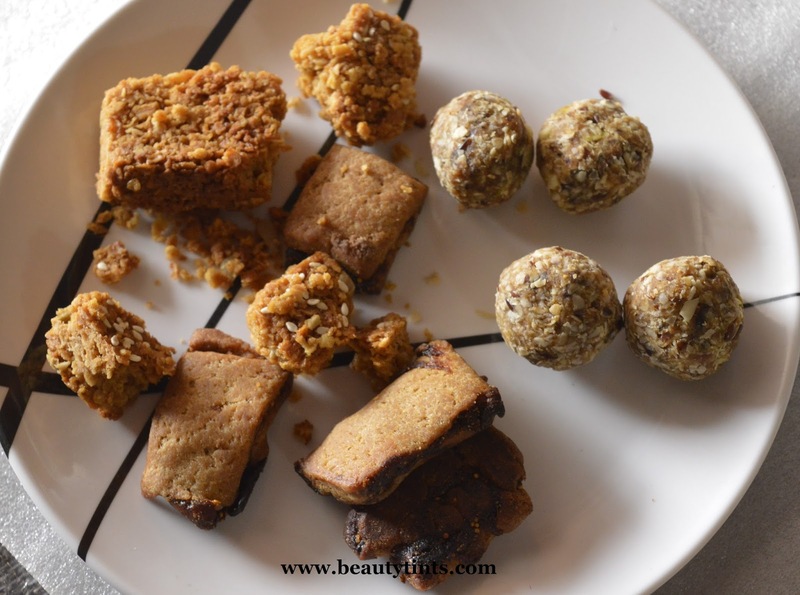 2) Standard Box : INR 699/- for 1 month Snack box with 5 types of snacks of 150 gm pouch each. 3) Smart Snacker : INR 1799/- for 3 months. We get one Snack box every month for 3 months with 5 types of snacks of 150 gm pouch each. 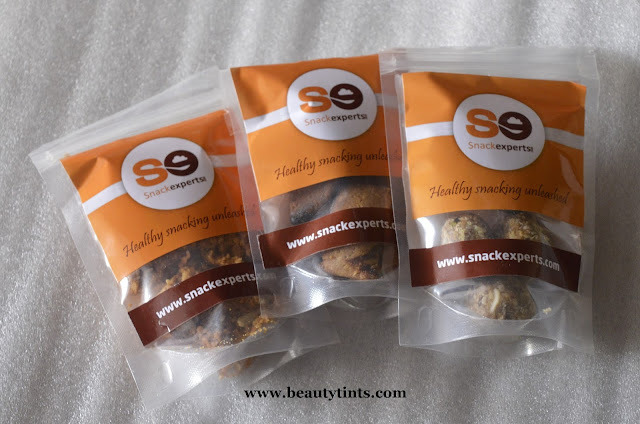 The best thing is we can select our favorite snacks from 50+ different snacks, available for standard subscription and Smart Snacker subscription...Isn't that too cool??? 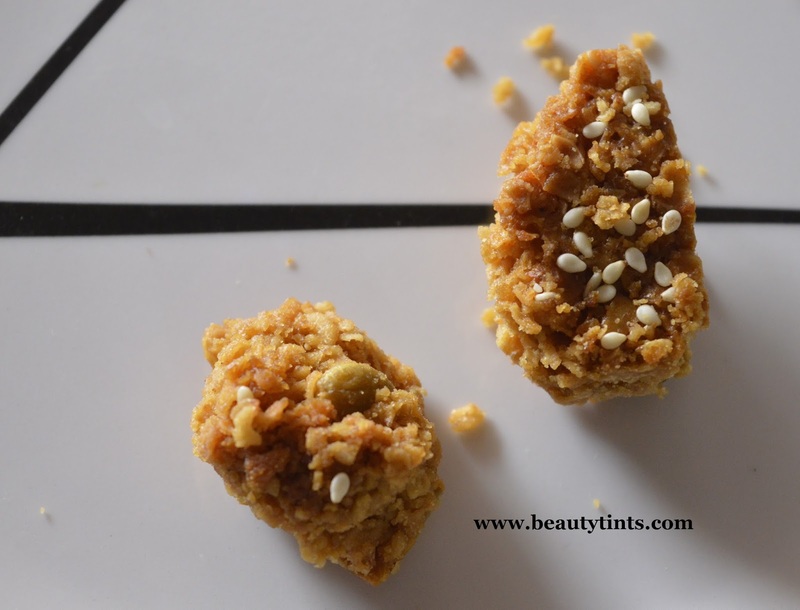 I tried the trial box,which contains 3 pouches of three different snacks of 50 gm each.I got 3 variants like Original Flap Jack,Figgy Bar and Oats ladoo. 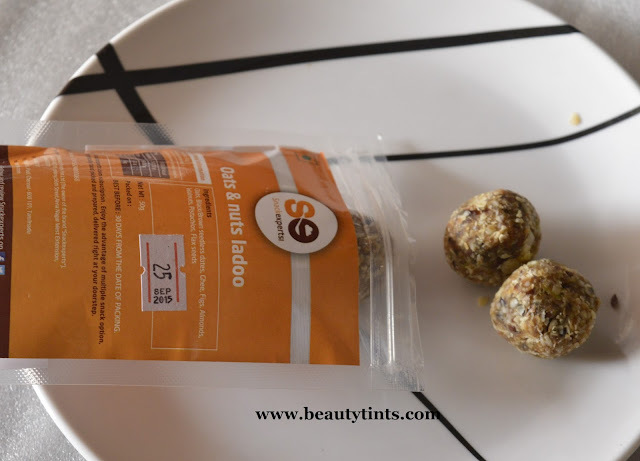 Each snack comes in an individually packed resealable pouch,with complete ingredient list,manufacturing date and calories content!!! 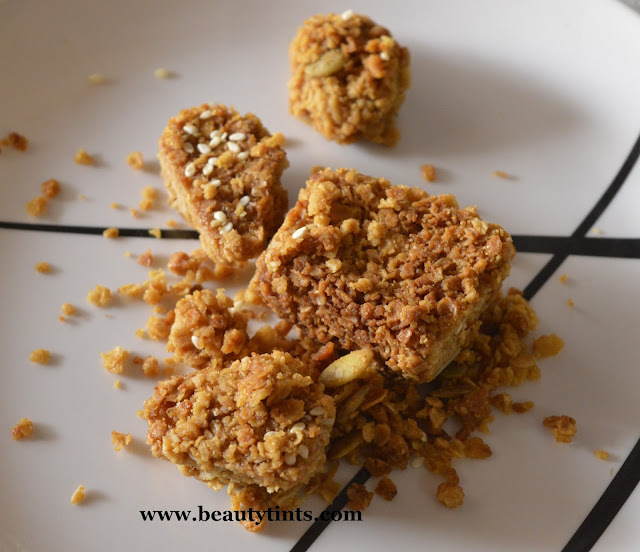 1) Original Seed Flapjack : This snack contains healthy ingredients like Oats, jaggery,honey,Sesame Seeds,Sunflower seeds,Pumpkin seeds and butter.This is super yummy and I couldn't resist eating the complete pack in one go!!! 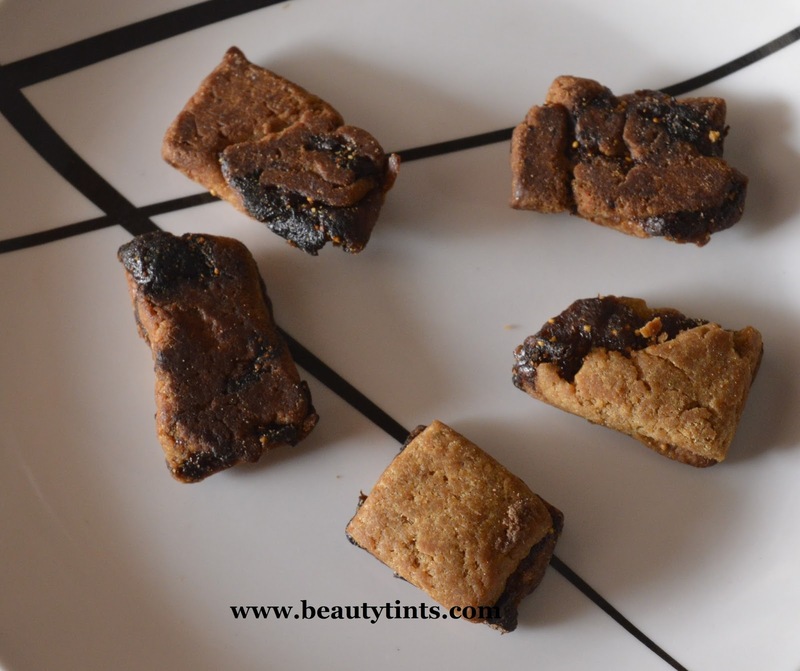 2) Figgy Bar : This snack contains healthy ingredients like Wheat flour, Chopped dry fig,palm sugar,honey,vanilla essence and egg.This tastes similar to golden arcs biscuits which are my favorite biscuits.These are just like the healthier version of those,loved them!!! 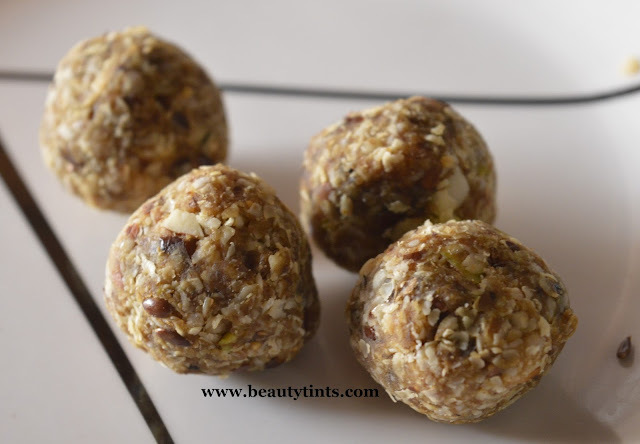 3) Oats and Nuts Ladoo : I hate oats and usually I don't like to eat oats but for the first time,I enjoyed eating them in this ladoo form.They are super tasty.These contain ingredients like Oats, dates, ghee, figs, almonds, walnuts, pistachios, flax seeds. 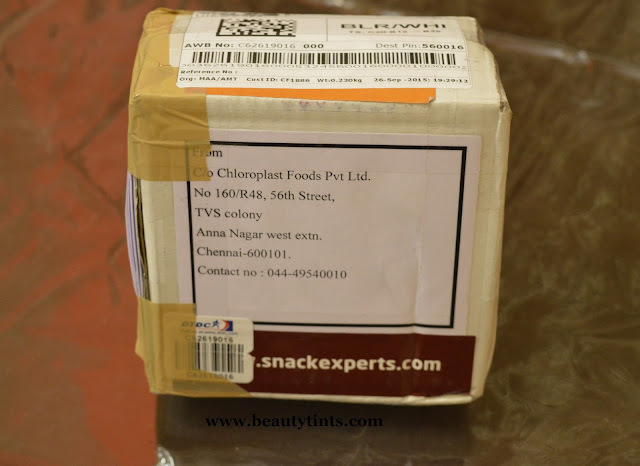 Final Verdict : I highly appreciate their innovative and healthy idea of delivering healthy snacks every month right to our doorstep! We always have an assumption that healthy foods do not taste good,but after tasting these snacks,I am sure every one will say that Snack Experts snacks are not only healthy but also tasty!I am going to subscribe for 3 months plan asap as I liked the snacks very much.Those who want to try these healthy and tasty snacks can subscribe for their Trial Box at just INR 150/-.